Alex Seamon: Welcome to the GSI Team | Gastrointestinal Specialists, Inc.
We would like to take a moment and welcome our newest physician, Dr. Alex Seamon. 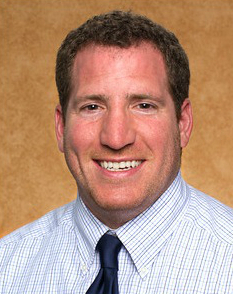 Dr. Seamon grew up in Roanoke, Virginia and attended the College of William & Mary as a Monroe Scholar, graduating with a bachelor of science in Biology in 2004. Following undergraduate training, he earned his Doctor of Medicine from Eastern Virginia Medical School in Norfolk and proceeded to the University of Florida to complete his internship and residency in Internal Medicine. Dr. Seamon was then honored to serve as chief medical resident at the University of Florida, prior to embarking on his training in gastroenterology and hepatology at the Medical College of Wisconsin, in Milwaukee. While in fellowship, Dr. Seamon worked with a very diverse group of patients including patients with inflammatory bowel disease, irritable bowel syndrome, liver disease, gastroesophageal reflux disease (GERD), swallowing difficulties, peptic ulcer disease and stomach problems, colon polyps, diarrhea, constipation, hepatitis, motility disorders and general gastrointestinal well-being. He served as co-chief fellow, and graduated from the program in 2015, followed by joining GSI. Out of the office, Dr. Seamon enjoys the great outdoors, playing sports and attending sporting events, running, swimming, mountain biking, snowboarding and hiking with his dog Scout. His father is an internal medicine physician in Fredericksburg, and his brother is an orthopedic surgeon in his hometown of Roanoke.